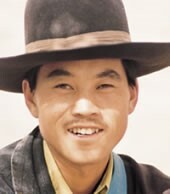 The Guiqiong have been included as part of the Tibetan nationality in China. 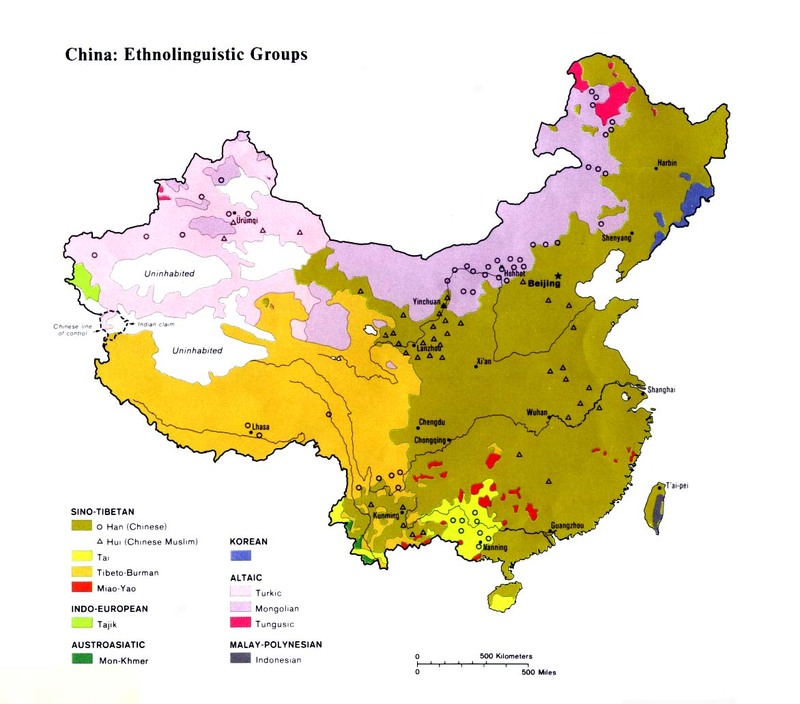 As early as 1930, however, Chinese researchers stated, "The language and customs of the Guiqiong are distinct from those of either the Chinese or Khampa Tibetans. The people here are actually a unique ethnic group." The historical border region between the Chinese and Tibetans has witnessed the fusion and assimilation of numerous tribes. The area inhabited by the Guiqiong was formerly part of the province of Xikang. In the 1930s Xikang was a lawless place that few outsiders dared to enter. "Aborigines [minorities] seize and kill members of other nationalities. In parts of Xikang, abandoned hovels and wasteland due to pillage are common sights. Violent attacks on communities by 'aborigines', as well as government punitive actions against them, cost many tens of thousands of lives." One of the main reasons for the extreme violence throughout Xikang in the 1930s and 1940s was the drug trade. Large quantities of opium were manufactured throughout the region until the Communist takeover in the early 1950s. The new government forced the people of western Sichuan to destroy their opium crops. Today most Guiqiong grow maize and barley, while those living near the river or some other source of water grow vegetables. The Guiqiong are nominally Tibetan Buddhists, although they retain many aspects of animism and shamanism in their religious beliefs. The Guiqiong have no understanding of the gospel or the name of Jesus Christ. They have been cut off from the message of eternal life for centuries. James O. Fraser described the tenacity needed to reach groups such as the Guiqiong: "Evangelistic work on the mission field is like a man going about in a dark, damp valley with a lighted match in his hand, seeking to ignite anything ignitable... here a shrub, there a tree, here a few sticks, there a heap of leaves take fire and give light and warmth, long after the kindling match and its bearer have passed on. And this is what God wants to see ... little patches of fire burning all over the world." View Guiqiong in all countries. 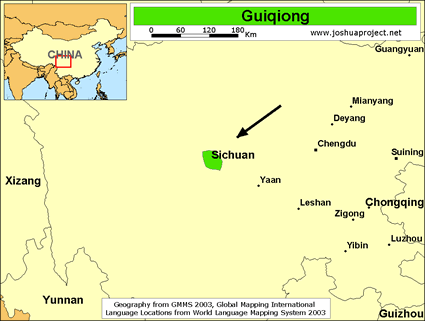 Location in Country: A 1983 study listed 7,000 Guiqiong people. They inhabit the tablelands along both banks of the Dadu River, north of Luding County in the Garze Tibetan Autonomous Prefecture in western Sichuan Province. There are also a few Guiqiong located farther to the east in northwestern Tianquan County. The great Dadu River, which surges each summer as the ice fields in the mountains begin to thaw, is the source of life for the Guiqiong. The river cuts a path through the rocky terrain of central Sichuan. As a result, plateaus have formed on both sides of the river.